The project is the UK's first crowd-funded venture that enables profits from renewable energy investments to be put back in to the local community. The goal of the project has been to develop a technology to convert waste from the olive oil production, into electricity. System optimization is more than just good-looking charts - in this case, we are able to increase system profit by $40k, an increase of over 70% versus the 15�-tilt baseline design. Acquisition activity in Q3 2014 was lower than most quarters in recent history. Activity was distributed relatively evenly across the solar markets in Europe, North America and Asia, with cross-continental deals accounting for the greatest number of transactions. 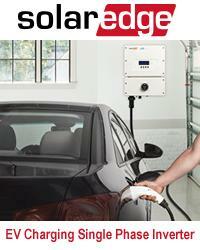 PowerSPOT Power Products introduces line of solar power generators, accessories and a new technology PV panel. Solar PV in planning-sensitive areas: can it be done? Renewable energy is currently at the top of the government's agenda and local planning offices are being pushed to use their judgement wisely when assessing requests for solar panel installations. Clenergy, the clean energy investor and solar-solution provider, is proud to announce it is supplying mounting systems for one of the largest solar power plants in Japan. The project covers 370,000 square meters of land, with a total installation of 24.8MW. The use of renewable energy in the United States could take a significant leap forward with improved storage technologies. "Solar PV system installation on landfill and brownfield sites is a great way to leverage unusable land to harvest long term energy generation"
The biorenewables sector was instrumental in generating this growth, creating high-paying jobs and attractive economic opportunities for investors. Among the projects will be one of the largest Turkish roof-mounted installations on a commercial property in the town of Eski&#351;ehir in Anatolia.